When you’re recovering from a surgical procedure, you need to make sure that you’re getting plenty of rest, drinking plenty of fluids, and taking the proper amount of time to get back on your feet. This can sometimes be easier said than done, especially when you live alone or don’t have anyone else helping you. The burden of taking care of yourself can be overwhelming if you’ve recently had surgery, and forget doing extra things around the house. Nova Home Health Care recognizes the need for post-surgery care in the comfort of your own Fairfax home. Do you want an in-home caregiver to provide companionship, transportation service, or help around the house? Do you need a skilled nursing home health aide who can help administer medications and take on more medical or nursing duties of your post-surgical care? Whatever the need for home health care is that you have, Nova Home Health Care is ready to appoint the right person to help you recover well. Recovering from surgery isn’t easy for many people; it can be hard to simply rest and let your body heal when you’re ready to get up and go. But recovery doesn’t have to be a difficult or frustrating time for you. Your recovery can be peaceful and fast if you have the right person assisting you. 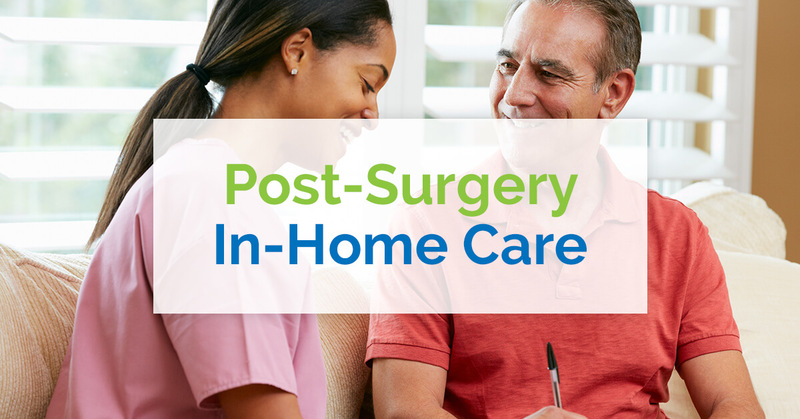 If you’re interested in getting a post-surgery in-home care aide to help you recover from your surgical procedure, contact Nova Home Health Care in Fairfax today!